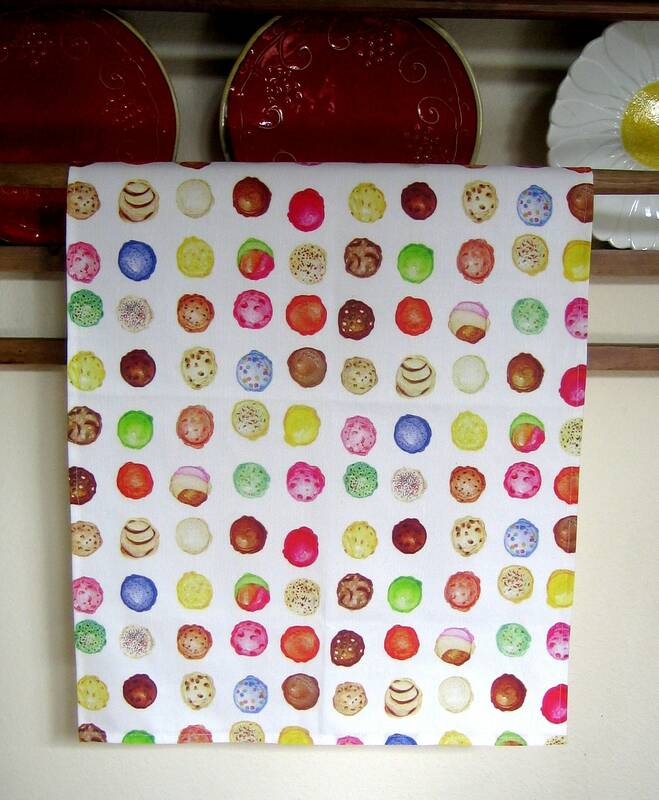 Ice Cream Kitchen Towel in all of your favorite flavors. Linen canvas overall print from Little Island Company in bright watercolors. 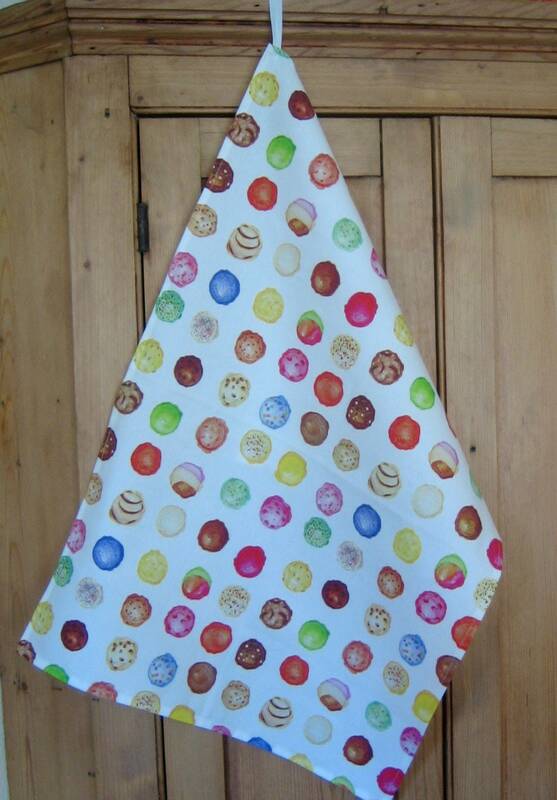 Towel is crisp and sturdy but will soften with use and washing, 17x23.